Cirques are giant hollows scooped out of the fellside by glacial ice. They are typically referred to as corries in Scotland, as cwms in Wales and more often as coves or combs in the Lake District. 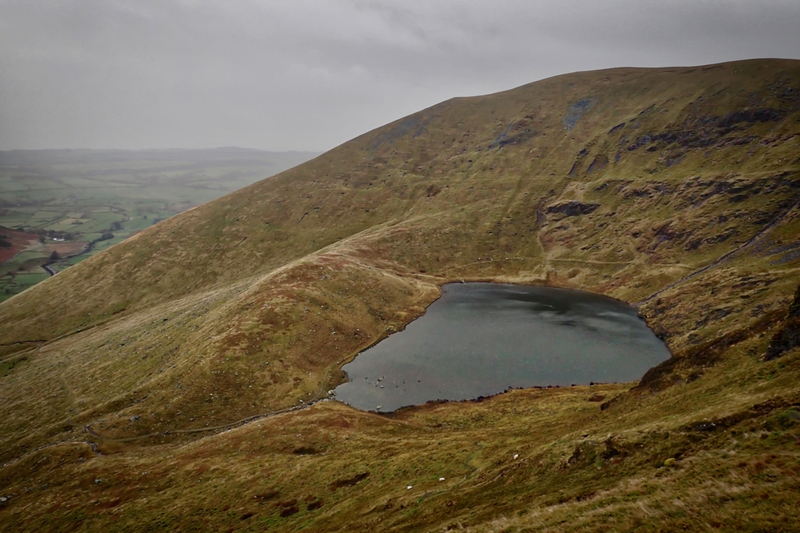 But the cirque in which Bowscale Tarn sits is un-named despite it being arguably the best example of a glacial cirque in the Lakes. The terminal moraine formed from the debris pushed downhill by the snout of the glacier can clearly be seen. Very interesting, we were in this very spot a few weeks ago after a long day on the northern fells and heading for the overnight camp on the ROC Mountain Marathon which was in Mosedale at Roundhouse Farm. Hope you got down to Mosedale a better way than I did. Bagged the summit then came down the Tongue to Mungrisedale. Meant to drop straight into Bowscale. Doh!